By performing this type of network profiling, operators are able to understand the maximum capability of current resources and the impact of adding incremental new resources needed to serve future requirements. 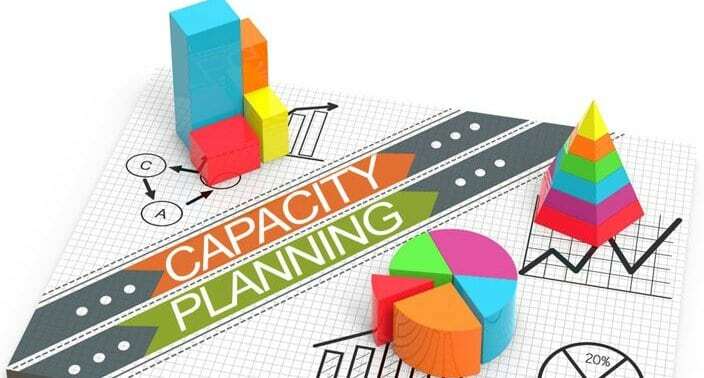 While capacity planning helps with the identification of new network infrastructure, it can also help to identify additional staff or resources that will manage and monitor the network. Establish the degree to which sources, destinations, devices, users, applications, protocols, and services are generating traffic. Accurately assess the network impact of new services. Measure and analyze traffic metrics to establish performance and capacity baselines. Assure optimal application service delivery by identifying network bottlenecks before they impact service. Understand the impact of network bandwidth utilization from a user’s perspective, including application performance KPIs and SLAs. Identify the performance profile of individual devices on network infrastructure. When a threshold for a key performance metric is reached, the icon for a network element within a capacity planning tool’s interface may display as red, and depending on the severity of the event, may also issue an alert. The business value of network capacity planning cannot be underestimated. Being able to quickly focus on network bottlenecks in a timely manner has a direct correlation to user satisfaction and optimizing network infrastructure expenditures. Kentik Detect has the functional breadth for capturing all the necessary network telemetry in a big data repository to isolate even the most obscure capacity impacting network events — as they happen or predicted in the future. Network visibility is key to facilitating capacity planning. To see how Kentik Detect’s Capacity Analytics can help your organization analyze, monitor, and adjust to network capacity patterns, read this blog, request a demo, or sign up for a free trial today.